Convert XLS to Lotus efficiently. You are here: CoolUtils > Total Excel Converter > Convert XLS to Lotus efficiently. Microsoft Excel produces spreadsheets in XLS format that is not compatible with various alternative applications. If you want to make it compatible with SmartSuite office, then you need to convert XLS to Lotus format using Total Excel Converter. It is very easy and won’t take much time. 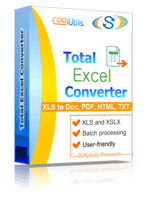 Total Excel Converter is suitable for both professional and personal use. The program can perform batch conversions. This means you can process as many XLS tables as you need in one single conversion. This functional batch XLS converter supports about twenty different formats, including table, text, graphic file types. You can export your XLS originals to any of these formats and be sure that the program will correctly transfer all information to a new format. Press Start! button in the appeared settings window. 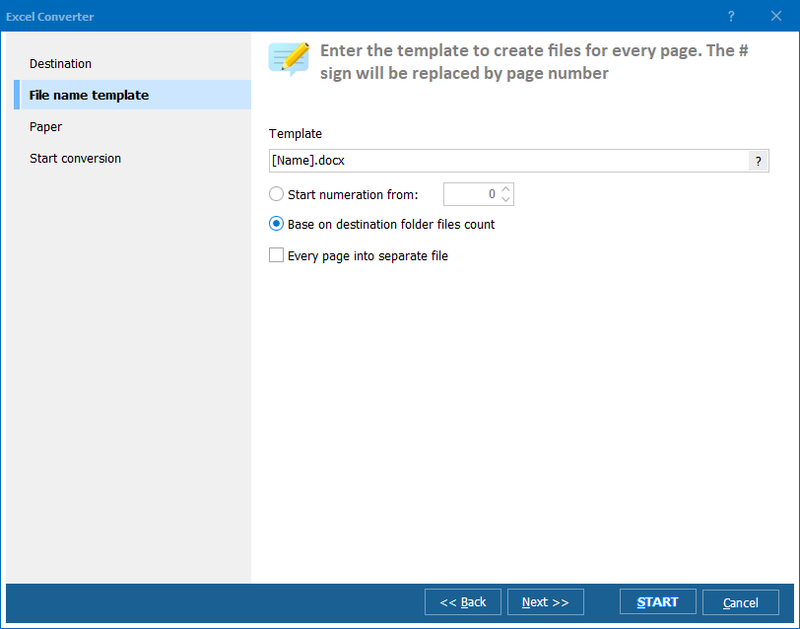 If you would like to set your XLS Lotus converter to produce files copies with specific parameters, you can make appropriate settings in the pop-up wizard. 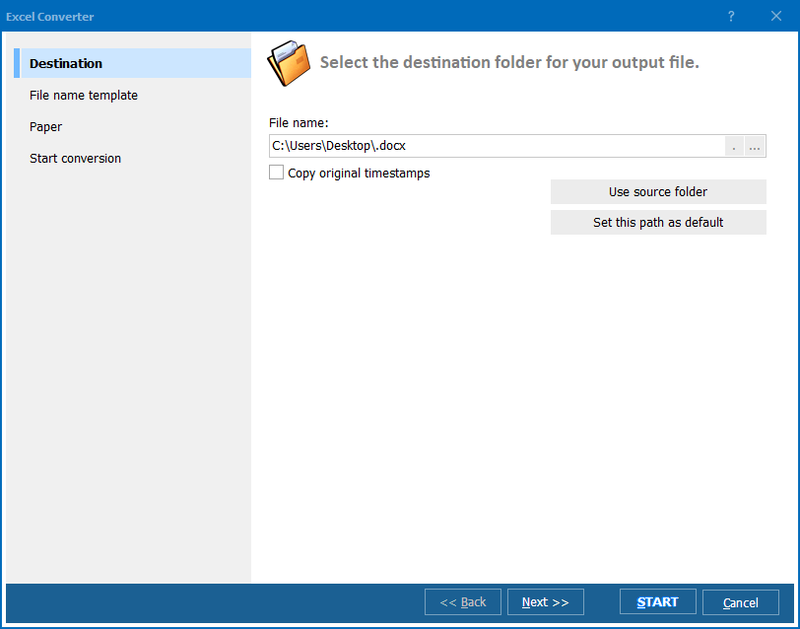 You can change the destination for the output files, set specific file name template and conversion mode. You can convert each XLS original file into a separate Lotus file, or convert each spreadsheet into separate file. If you wish to create copies of your XLS files and then remove the originals from your PC memory, set the proper option in the settings window. The program will remove them automatically, when conversion is done. These are optional settings that can be used only when needed. Run Total Excel Converter in a way most suitable for you. Try it for free in a trial version. Excel Converter with user-friendly interface for you!